Native Fuchsia (Eremophila Maculata ssp Brevifolia). Taken from Arid Lands Botanic Gardens at Port Augusta, South Australia. 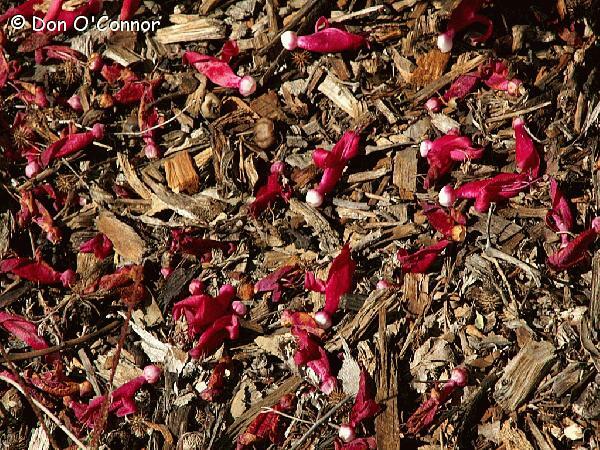 I liked the abstract nature of the fallen coloured flowers mixed with the mulch.